I invite you to read about Rachel and her son Tristan. I’d like to introduce you to Rachel of What Life Has Become. Tristan is a wonderful little boy. He is extremely smart. Sometimes too smart for his own good! He’s an excellent big brother and he has compassion and a wonderful sense of humor. He loves making people laugh and the things that come out of his mouth at times are extremely funny. He loves to play with Legos, trucks and dinosaurs. He also really likes his Legos video games. He likes to play sports but as of yet, we don’t have a favorite. He is a huge flirt and all the ladies seem to love him. He has a way of touching people’s heart! Tristan was diagnosed with Type 1 diabetes at 16 months. I can honestly say that Tristan’s diagnosis was a complete surprise. 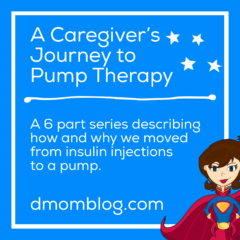 Nobody in either of our families has diabetes and we really were not familiar with this disease. Looking back now I realize that Tristan’s symptoms started months prior to his diagnosis. But not knowing anything about this disease I didn’t recognized the symptoms. It took Tristan a long time to sleep through the nights. I think that he was 6 to 8 months before he consistently slept through the night. At about 12 months he started waking up again. The only way that we could get him back to sleep was to give him a bottle. At first we started with milk…then trying to break him of waking up, we switch to water. It didn’t matter to him milk or water…he would drink a full bottle. In the morning, he would wake up soaked and wet. He had gone through his diaper. We figured it was normal, more liquid = more peeing. We just didn’t have a clue what was going on. I got a call one day at work from Tristan’s daycare provider. She said that there was something wrong with Tristan but she didn’t know what. She said that he was acting weird and that his breath smelled like sickness. So I went to pick him up. His fingernails and toenails were not a normal color. They were a little blueish and at times, he seemed to be losing his balance for no reason. But other times he was acting just fine, playing and running…just being a little boy. I called his pediatrician and we got an appointment first thing the next morning. I brought him in early the next morning. Usually at the doctor office he would always go play. Not that day, he just sat on me. In the office, he was just sitting on me while I was talking to his doctor. She was checking his fingernails and toenails, pushing on them a little. She had me move him around on my legs, saying that maybe the way he was sitting was affecting his blood circulation. It didn’t make it better. She told me that she wanted me to take him straight to the hospital. I think that at this point she said that she suspected diabetes but I didn’t hear that. I was starting to worry. Like I said, I really didn’t expect anything to be wrong so I was in shock a little bit. And well you can all guess what happened at the hospital. Honestly I can’t answer that question. Tristan was so young when he was diagnosed that we really don’t know any life than a life with diabetes. Tristan doesn’t remember a time when he didn’t have diabetes. Every single aspect of our family’s life has changed. Our life revolves around diabetes. 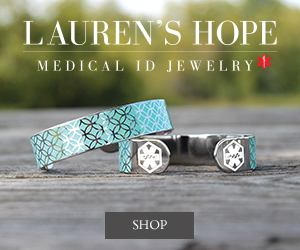 Blood checks, snack, juice, meals, carb counting, etc. Tristan hasn’t been away from us (besides school) since diagnosis. Going out to supper just Adam and I is not part of our life at this time. I think that since diagnosis we have a lot more stress and we worry a lot more. Finding the online D-community is probably the best thing that has happened to me since Tristan has been diagnosed. We live in a very small town. 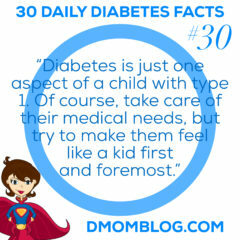 We don’t know any other diabetic families. The support that I have found online is amazing. That feeling of WOW, I’m not alone. Somebody understands exactly what I’m feeling right now. It’s like getting a hug when you really need it. Somebody who listens to you went you are frustrated and need to vent…not only do they listen, they understand. 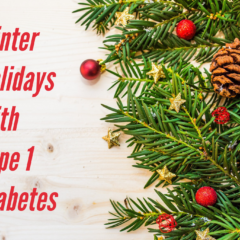 For online support, I use Twitter, Facebook and different diabetes blogs. I get support from comments left on my own blog and I read about other people’s frustrations and success. It’s amazing that at times I can read a post by another D-mom and I catch myself shaking my head yes…because I know exactly what she is saying and feeling! Numerous daily BG checks. Tristan uses the pump and we count carbs. 1. You didn’t do anything wrong. You didn’t cause your child’s diabetes. 2. There is not cure for Type 1 diabetes. Please don’t believe anybody who tells you that you can cure your child with “natural” remedies. You will only put your child’s health and life in danger. 3. Take a moment and cry. Get mad, get frustrated. Then accept. 4. 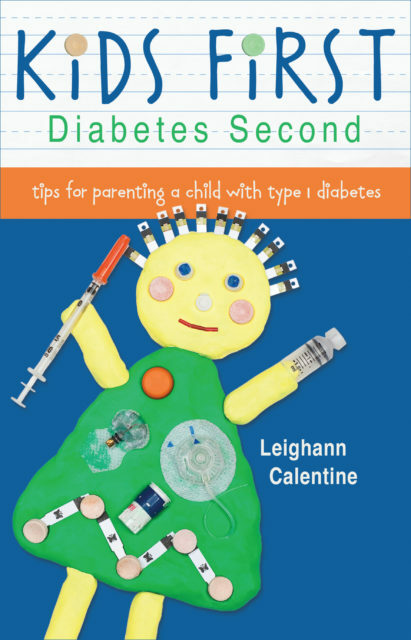 Remember that your outlook and the way that you deal with this situation will mold how your child will look at diabetes and manage diabetes when he or she is older. 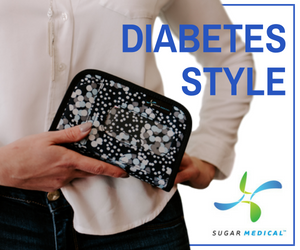 You are their manager and teacher at this time, give them the right tools and the confidence to manage their diabetes the right way when they grow up. 5. You are not alone! You may not have “real” people around who understand. But there are a lot of very real people online who do understand and will offer support at a drop of a hat. 6. Managing diabetes is like being on a roller coaster blindfolded! You never know what is coming. Insanity is defined as: Doing the same thing over and over again expecting different results. Well diabetes kind of defies that: Doing the same thing over and over again expecting the SAME results. With diabetes, I can do the exact same thing twice with two completely different results. It drives me crazy! LOL! 7. Living with diabetes doesn’t make your life better or worse. It just makes it different. 8. Hang in there, better days are coming. 9. Keep your chin up, you CAN do this! 10. This is hard but try to remember that your child is a child first! He/she is a diabetic second. Allow them to be a child. Oh I wish that somebody would have told me about a Salter scale. This has made managing diabetes so much easier. I wish that somebody would have steered me toward this wonderful online community. I felt so alone for so long! I wish that they would have been more forthcoming about how difficult this is to manage. And that 1 +1 doesn’t always = 2. My heart goes out to you. Our son was diagnosed at 23 months and is now 5. I love my babysitters! I would encourage you to ask your JDRF office about finding a sitter, or maybe your ped. endo. We’ve trained a few preschool teachers ourselves and have found them wonderful and willing to help. Good luck! Great post!! I LOVE Rachel! She is one of the dmoms that has helped me along our path! another great story! 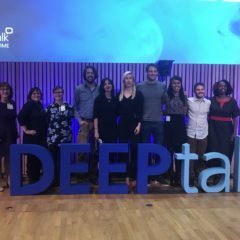 so nice to “meet” another dmom! I have often heard people, mostly adult PWD, say how it makes them angry or sad that someone as young as Caleb has to deal with all that diabetes presents on a day to day basis, particularly when they see the videos of him checking his sugar or getting his blood drawn. I don’t completely appreciate that reference to Caleb because it’s what we know and live, but I totally feel that way when I hear about people younger than him. I guess that doesn’t completely make sense, but it breaks my heart to hear of the wee ones being poked and prodded and the parents that have to do it. You are one tough cookie, Rachel! Thanks for being such a strong D warrior with me! You are SOOOO right Rachel!! Diabetes doesn’t make life better or worse…just different! And the DOC is like getting a big hug right when you need it!!! I wish we could tell the whole world about the support we receive from twitter, FB, etc!! Keep smiling Rachel! We’re all in this thing together! !